High quality guaranteed GY6 50cc Scooter Starter Relay Solenoid, two wires, one female plug and two pins. Aftermarket Parts. Fits most GY6 50cc 150cc Scooter ,Chinese dirt bike or Honda Clones 50cc, 70cc, 110cc, 125cc, 250cc. Please compare with the one you require, or send us photos about the one you want, then we can work better for you. Looking for ideal GY6 50cc Scooter Starter Relay Solenoid Manufacturer & supplier ? We have a wide selection at great prices to help you get creative. All the GY6 50cc Scooter Starter Relay are quality guaranteed. 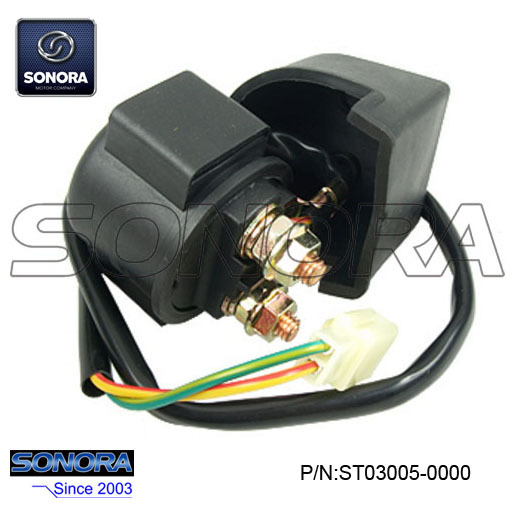 We are China Origin Factory of GY6 50cc Scooter Starter Relay Solenoid Replacement. If you have any question, please feel free to contact us.